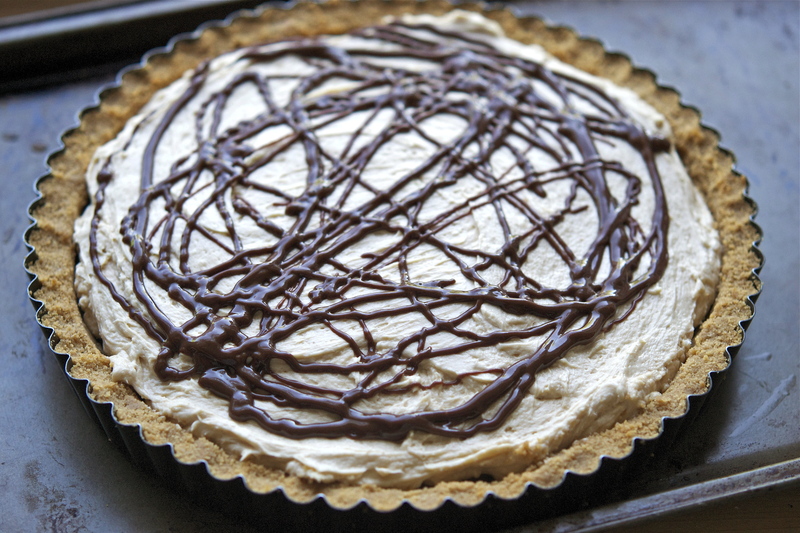 While it is an extremely rich tart, it is is incredibly easy to make – the ganache is created from a simple mixture of peanut butter and chocolate chips (a combination that rarely disappoints). My go-to method for making ganache is to pour heated cream over the chocolate in a glass bowl. It avoids the risk of burning the ganache over a stovetop or in a microwave, and guarantees a glossy finish. You are certainly welcome to use one of the other two methods, but just be mindful of the heat level (keep it low) and the timing. The ganache is by far what sends this recipe over the top (this is ABSOLUTELY a licking-the-bowl-clean moment once you’re done). The tart’s “shell” is a simple graham cracker crust, topped with the silky layer of ganache and then followed by a light and creamy mouse. It is one of those “best-the-next-day” desserts, since its flavor will deepen with time. 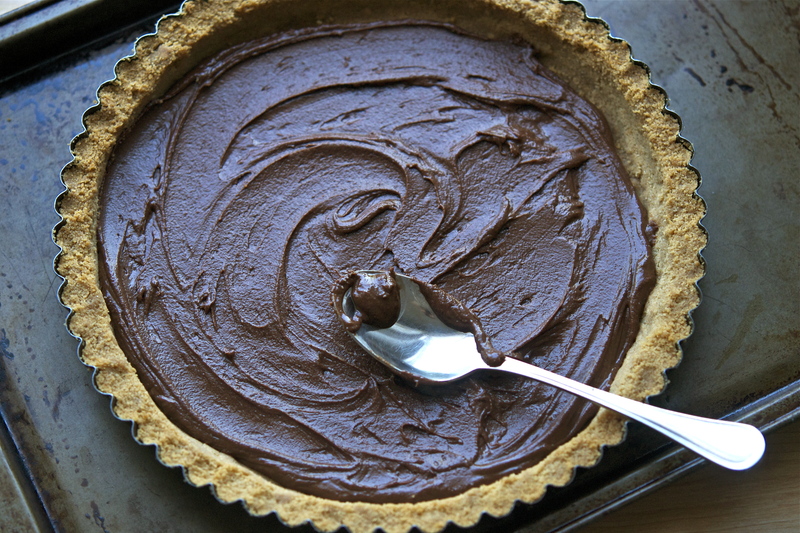 I highly recommend giving this tart a try, whether it be for a potluck or for self-enjoyment. 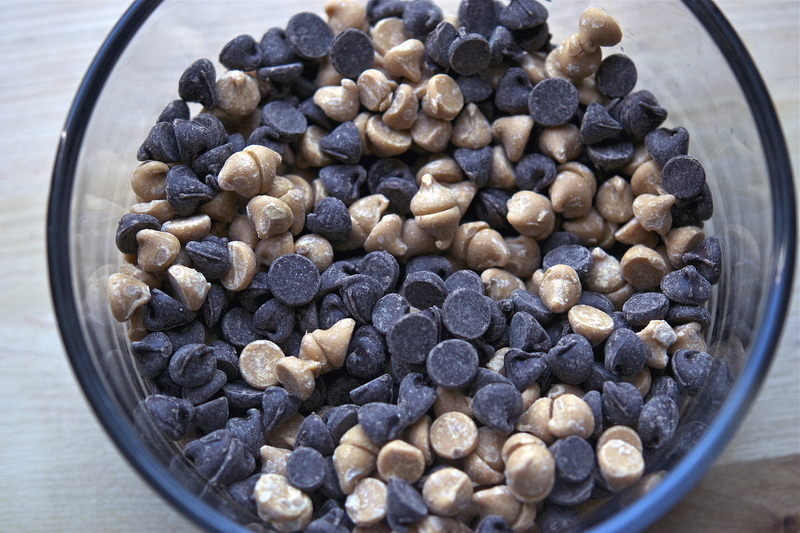 It’s a dessert that practically anyone will love (those with allergies or an aversion to peanuts being the obvious exception). Though I still am hoping to make the aforementioned cheesecake, this simple beauty has thankfully become a go-to in my cooking repertoire. Click HERE to see the recipe for this delicious dessert! 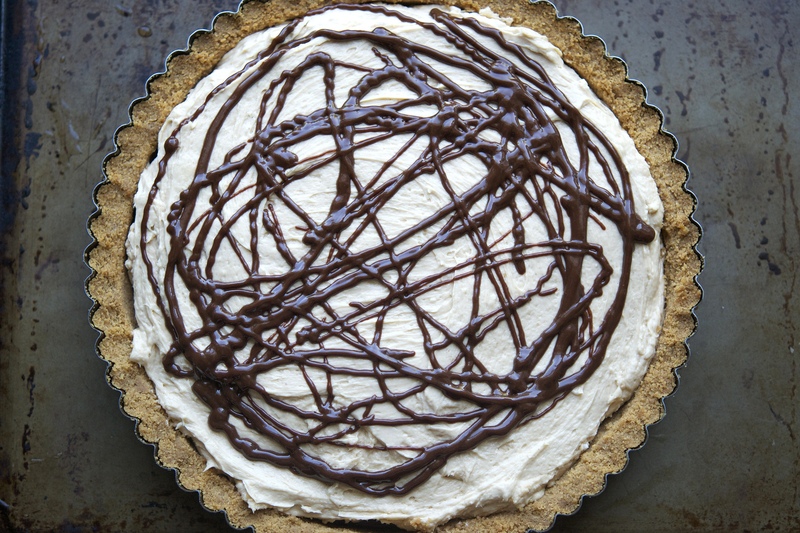 The appeal of this tart casts a wide net, making a fan out of almost anyone who gives it a taste. A parallel in classical music can be drawn to “showstoppers” – pieces that are performed time and time again, and yet never “grow old” in enjoyment or intrigue. Their admiration is often universal, and can appeal to a diversity of listeners (regardless of age or background). A prime example of such a piece is, without question, Johann Halvorsen’s Passacaglia in G minor for violin and viola. Similar to this dessert, Halvorsen found inspiration in a former masterpiece: the final movement of Handel’s Harpsichord Suite in G minor, HWV 432. The work is thus constructed as a “theme and variations”, transforming a single motif within a medley of ideas and styles. The piece itself is quite challenging for the performers involved, and is often played as an encore given the exigent mastery of technique and virtuosity. Though originally written for violin and viola, Passacaglia was eventually transcribed for violin and cello, and has become the more popular performance setting. To honor both, I’ve shared two editions of the piece below: the first showcasing the original instrumentation – featuring Itzhak Perlman (violin) and Pinchas Zukerman (viola) – and the second with the more popular duo setting – featuring Julia Fischer (violin) and Daniel Müller-Schott (cello). Enjoy!